The transfer window for Summer 2018 slammed shut at 5PM yesterday, a day before the first game of the season; tonight’s clash between Manchester United and Leicester City at Old Trafford. 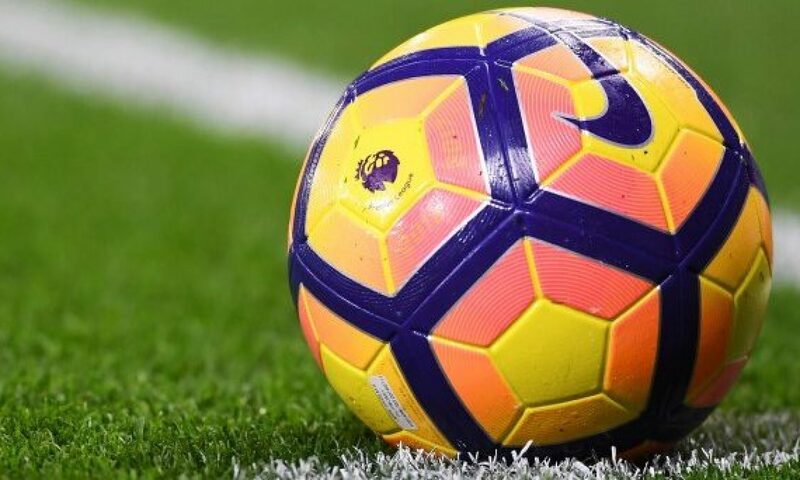 The deadline was brought forward under the new Premier League guidelines voted in by clubs at the end of last season, deciding that the period in which clubs can sign new players is ended before the start of the season. Today, I’ll be discussing how the ‘Big 6’ of the Premier League (the Manchester clubs, Spurs, Arsenal, Chelsea and Liverpool) fared this transfer window, starting with the defending Premier League champions. I’ll also be picking my transfer window winner out of all 20 Premier League clubs. Out (of note): Angus Gunn – Southampton for £13.5m, Joe Hart – Burnley for £3.5m, Pablo Maffeo – Stuttgart for an undisclosed fee. Manchester City haven’t done a huge amount of business this summer, however they didn’t really need to strengthen the squad in many areas. They spent £60m on Leicester’s Algerian playmaker Riyad Mahrez, and made no other headline signings. They brought in Daniel Azrani from sister club Melbourne City, and a few lesser known players from the European leagues, but were otherwise happy to rest on their laurels. Even the purchase of Riyad Mahrez could be argued as unnecessary; City already have a plethora of attacking talent, and now Pep Guardiola is faced with the unenviable task of finding how to keep all players happy about playing time, whilst being able to play a maximum of four players in his attacking roster at one time. These players include Sergio Aguero, Gabriel Jesus, Leroy Sane, Kevin De Bruyne, Bernardo Silva, Raheem Sterling, Riyad Mahrez and Phil Foden, alongside any youth players he may want to bring into the squad. These are all world class talents, who would be crucial starters in most other teams on the planet, but many of them will be limited in their playing time this season. Overall, City have spent conservatively, and have added a former PFA Player Of The Year to what was already a very impressive squad. United’s recruitment team came under large scrutiny this summer, with plenty of pressure from the media and fans for new signings, along with manager Jose Mourinho’s open complaints in press conferences, and, although United didn’t manage to sign the centre-back that the fans were all calling for, United have still strengthened the squad. New signing Fred will fill a gap in midfield, and provide a variety of skills. He has a good work rate, as seen in United’s game with Leicester last night, in which he made 5 recoveries, 3 interceptions, 2 clearance and 7 accurate long passes. He has many similar attributes to teammate Paul Pogba, with his long passing and creativity, however is far smaller and less physically able. He looks like he could become an excellent signing, and really improve United’s midfield. Diogo Dalot, a 19-year-old full back from Porto, was signed as a long term replacement for veteran fan-favourite Antonio Valencia, and from the short clips I’ve seen of him playing, his crossing and attacking play looks excellent, and his positional play looks very strong too. Lee Grant, a surprise 35-year-old signing from Stoke, looks more like a tactical addition requested by Jose Mourinho, providing emergency backup to likely support Sergio Romero’s on-going knee problems, and allowing youngster Joel Pereira to go out on loan to Vitoria Setubal and gain valuable playing time. Grant will likely never make more than three or four competitive appearances for Man United, but is a clever acquisition nonetheless. However, many United fans say they needed more if they are to challenge for the title this season. Their central defence looks shaky, and could certainly do with some new recruits to support Eric Bailly, with Victor Lindelof, Chris Smalling and Phil Jones all looking insecure last season. Attempts to sign Leicester’s Harry Maguire were consistently quashed as United were priced out by the 2015/16 champion’s valuation of the England defender, and a late push for Athletico Madrid’s Diego Godin turned out to be just an incentive for Athleti to improve his new contract. It was possible that United also needed a new winger and backup striker, neither of which were acquired. Attempts to sign Gareth Bale were also ended, likely due to Cristiano Ronaldo’s move to Juventus meaning that Bale now had a better opportunity to get regular first team football at Los Blancos. However, I think that, should United have signed a new winger, a back up striking option would not be necessary, as players like Marcus Rashford, Alexis Sanchez and Anthony Martial can all play up front too, so would have provided ample backup for Romelu Lukaku. Overall, United made some good acquisitions, but are still lacking in some areas of the pitch, and should probably have strengthened in those areas if they want to win the Premier League this season. Tipped by many to be Man City’s biggest challengers this season, Liverpool have spent around £170m this summer on new signings to strengthen their title bid for this season. Liverpool’s main weakness was in their goalkeepers. Simon Mignolet and Loris Karius have both come under intense scrutiny recently, especially for Karius’ performance in the Champions League final last season, giving away two goals which were very easily avoidable. Medical scientists have claimed Karius suffered from concussion from a head collision earlier in the match, however this has been ridiculed by many non-Liverpool fans across the globe. Liverpool have added Roma Goalkeeper Allison to their ranks for what was a world record fee for a goalkeeper at the time. Allison is an excellent keeper who will likely do very well at Liverpool this season, notching 22 clean sheets in all competitions for Roma last season. They have also strengthened their midfield, replacing the out-of-contract midfielder Emre Can with new signings Fabinho and Naby Keita from Monaco and RB Leipzig respectively. Fabinho, a long term target for rivals Man United, will be a more like-for-like replacement for Can, being more defensively minded and more willing to bed in, whereas Naby Keita will be a more box-to-box player, with that vital creative spark that will help feed their lethal front three of Salah, Firmino and Mane. They also brought in Swiss international Xherdan Shaqiri from the now championship side Stoke for a fee of £13.5m, to provide backup for Salah and Mane. The winger scored a bicycle kick on his debut in a preseason game against Man United, so has already affirmed his place as a fan favourite. However, Shaqiri is a risky character in terms of discipline to have on your team. He is often accused of a lack of effort and work rate, as well as consistency in terms of how he plays. Yet, this was the same risk that Liverpool took on Sadio Mane a couple of seasons ago, and that risk payed off excellently. Liverpool did, however, need some strengthening in defence, which they haven’t done. Centre backs like Ragnor Klavan and Dejan Lovren (even if he is, by his own claim, “one of the world’s best defenders”) are clearly below par. Full backs could also be improved, with Alberto Moreno another player who could be improved upon. A player like Real Madrid’s Raphael Varane would have been perfect, although it is clear than Real would be reluctant to sell. Overall, Liverpool have really improved their squad in their weak areas, and a new goalkeeper and midfield could certainly be the thing that could propel them into a serious title challenge. However, they could have done with some new defensive talent to secure their back line and improve their bid for silverware. Chelsea’s Summer transfers came mostly in a late flurry, with first choice ‘keeper Thibaut Courtois joining Real Madrid, with midfielder Mateo Kovacic joining on loan as part of the deal, and Kepa Arrizabalaga coming in to replace Courtois from Athletico Bilbao. They also made a similar deal to Manchetser United’s signing of Lee Grant, with the recruitment of Rob Green on a free from Huddersfield, backing up Kepa Arrizabalaga and Willy Caballero. Their main signing, besides that, was the transfer of Jorginho from Napoli for an undisclosed fee. Small, agile, and with an endless work rate, Jorginho is very similar to N’Golo Kante, and, alongside Chelsea’s already strong midfield, could really help out Chelsea’s bid for a top three finish. Chelsea’s main achievement during the transfer window was keeping hold of their current players. Eden Hazard and Willian both stayed, despite links of a move away, and, even though they did lose Courtois, they kept their strength in the goalkeeping position. Overall, Chelsea had a fairly quiet summer, and strengthened their squad, whilst keeping the strength they already had. Tottenham had more than a quiet transfer window, they had a silent one. They signed absolutely nobody, and their only departures were two youth team players joining teams in different leagues. Spurs already had a very strong squad, with pretty much all positions filled with quality players, but they could have done with some squad depth. Spurs have only two out and out strikers in Harry Kane and Fernando Llorente, and, even if Kaneis the best in the league, he is not enough, and if he gets injured then they will be forced to play Llorente up front, who, although a good striker, is only good enough to be a back up at a team the size of Spurs. They could also have added another backup central defender, however they have held onto Toby Alderweireld and Jan Vertonghen, two quality centre backs, as well as Davinson Sanchez. Overall, Spurs signed nobody, however there weren’t really any glaring positions which needed improving, so the squad could still be a threat in the coming season. Out: Callum Chambers – Fulham on loan, Jack Wilshire – West Ham for free, Chuba Akpom – POAK Salonika for an undisclosed fee, Lucas Perez – West Ham for an Undisclosed fee. Arsenal have finally brought in a long term goalkeeper to provide the ageing Petr Cech with some respite and a replacement for when he retires. Leno is an excellent ‘keeper and shot stopper, and at just 26 he still has plenty of time left at the top. The signing of Sokratis Papastathopoulos means that their insecure backline will be solidified, and Stephan Lichsteiner’s arrival from Juventus mean that they will have another good full back in their ranks. The arrival of Unai Emery will also give new hope to the Gunners, ending Arsene Wenger’s 22 year stay in North London. Overall, the revamped Arsenal side will be likely to pose more of a chance of acheiving a top four finish this season, and could be a dark horse should their squad gel properly. Out of all 20 Premier League clubs, here I will be choosing which team I think has done the best this window, in terms of acquiring new players, and holding onto those that they already have. Out: Ben Marshall – Norwich for an undisclosed fee, Benik Afobe – Stoke (loan until January, when they will pay £12m to permaently buy him), Barry Douglas – Leeds for an undisclosed fee, Carl Ikeme – retired. The team who took the championship by storm last season are looking to do the same to the Premier League this season, improving massively on their already excellent squad. Adama Traore from Middlesborough is an excellent dribbler of the ball and is lightening quick, so will be an excellent recruitment, as will the signings of Joao Moutinho and Rui Patricio, providing brilliant experience and class to the squad at a low price. Willy Boly is a rock solid centre back who can really seal up any gaps in the back line, adn Leandro Dendonker is a very highly rated young midfielder, best known for his excellent headed goal against Man United in the Europa League two seasons ago. Wolves also held onto their quality players like Ruben Neves and Diogo Jota. However, goalkeeper Carl Ikeme has retired from football due to his battle with leukaemia, although he is in full remission, which is excellent news. Wolves have added plenty of talent to their already excellent squad, and could certainly push for a top 10 finish this season, and that’s why they’re my Transfer Window Winners. If you want to read more from In The Dugout, you can subscribe for free to the site, just enter your email into the box on the homepage. Is There A Way To Stop Man City? Manchester City have been practically unstoppable under Pep Guardiola this season, playing effective, attractive football and brushing aside the large majority of their opponents. But how do they do it, and is there any way to combat it successfully? Well, although it’s happened just 4 times this season in all competitions, they have lost. Their unbeaten record in the Premier League was scuppered in mid-January with a 4-3 away defeat to Liverpool, they were knocked out of the FA Cup by their cup-tie bogey side Wigan in February, and have lost twice in the Champions League, once in the group stage at Shakhtar Donetsk, and once in the second leg of their recent tie against Swiss side Basel. Perhaps barring Liverpool, these are all sides you would expect a world-class side like City to roll over, but what went wrong? To analyse their mistakes, first, we have to understand City’s strong points, and where they are winning the games. City’s main strength, as always with Guardiola teams, lies in midfield. I’ve talked before about how all good midfield trios consist of a player who is happy to sit deep and defend and build up from the back, a player who can move from box to box and can sit central and probe the defence, and a player who can drive forward and pressurise the opposition. The City midfield follows this trend, with either Fernandinho or Gundogan playing deep, the now-world-class Kevin De Bruyne playing some excellent passes and sitting central, and usually David or Bernardo Silva pressing up. Their strikers can also drop a little deeper and help build up if they have to, as they have the mercurial Leroy Sane and Raheem Sterling to cause damage. Without this midfield strength and support of the wingers, City would struggle to create their attacks and win games, as their defence can look shaky at times. City’s idea is to simply outscore the opposition and tire them out. So how do you combat them? There have been many tactics to try and do so, some more successful than others. Cardiff tried to, in Raheem Sterling’s words, Butcher them, and some teams have tried to beat them at their own game, pressing forward and taking the risk. But the most successful tactic, employed best by Wigan in the FA Cup, was to try and absorb the pressure and not get drawn out. This contrasts the usual best way to beat an attacking minded team, which is to control the ball and cause problems yourself, however, City’s major pressing makes this almost impossible, so the best thing to do is, surprisingly, to let them have the ball and try and pick up a goal on the counter-attack. Wigan showed some fantastic defensive organisation during their tie with the Blues, and held a deep defence and, with Will Grigg playing up top with a single supporting midfielder, which alternated between Max Power and Jay Fulton. Wigan’s Valliant defending was finally rewarded with Will Grigg’s curling strike into the bottom of Ederson’s goal just eleven minutes before full time. City have found the almost perfect formula. They play not only attractive but effective football. City will win the Premier League, there is no doubt about that, and the Champions League could still be a possibility, however, I would believe a team like Bayern Munich or Barcelona could still roll over the Blue moon. They have found a new way to dominate English football, but they can be beaten, and if anyone can defeat Guardiola’s master tactics, it’s Barcelona. My money’s on the Catalans for the Champions League. Real Oviedo – A Fall From Grace and back again? Back in the 1930s the Spanish La Liga was flourishing. Teams like Real Madrid and Barcelona were excelling, but there was one side that was consistently challenging for the top spots every season, yet today they are relatively unknown. That team? Real Oviedo. 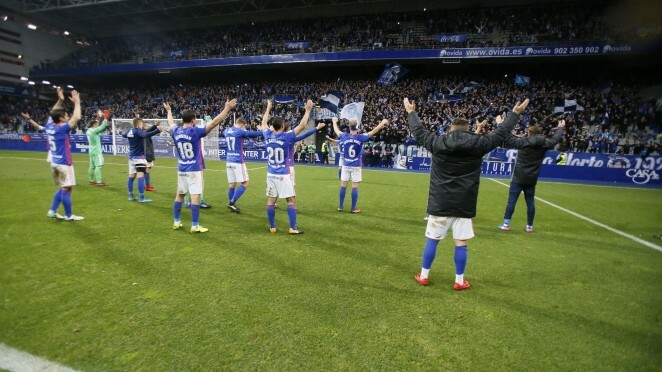 The team from the Spanish north were formed in 1926 with the merging of Stadium Ovtense and Real Club Deportivo Oviedo, and just seven years later found themselves in the top tier of the league system. Between 1933 and 1936 top striker Isidro Langaraformed a legendary front three with Gale Herrerita and Emilin and won the Pichini Trophy (the top scorer’s award) three years in a row. Those years were Oviedo’s greatest, as they scored 174 goals in 62 league games, but their run was halted along with the rest of competitive football in the country with the outbreak of WW2, and the side was relegated to the second division due to their pitch not meeting the league’s requirements. For a few decades, the side interchanged between the first and second division, even spending one season in the third division in 1978, before reattaining their second league status at the first try. After a stadium renovation for the 1982 Spanish World Cup, the side enjoyed a second, shorter, spell of success. In the early 1990s, they finished regularly in the European spots and enjoyed around a decade of domestic success. However, in the early noughties, the Oviedistas were relegated to the fourth division and fell upon serious financial trouble. Only a promotion playoff final win on penalties against the Mallorca reserves could save them from folding, but even then they were still in serious trouble. But, recently, the club’s sizable fan base and the rest of football has grouped together to save the club from bankruptcy. Former players Juan Mata, Santa Cazorla and Michu all made large contributions, and Carlos Slim, the world’s richest man at the time, bought $2.5million worth of stakes, and the club was finally saved. Finally, once again the club are challenging for a La Liga spot, sitting third and just a point off of Cadiz in the automatic promotion spot in second. However, Oviedo’s defence this season has shown signs of leaks so those problems will need to be patched up if they are to retain their spot in the playoffs and challenge for the automatic promotion spots. Do you think that Real Oviedo will return to their full former success, or will they be locked out of La Liga for the foreseeable future? I think that we will see Oviedo back in the top ten of La Liga within a decade, but it will take work. Leave your opinion in the comments below. I was given the fantastic opportunity to have a quick 5-minute interview with Stockport County manager, Jim Gannon, this Saturday. County had just beaten Spennymoor Town 3-2 after a hat-trick from 25-year-old forward Jason Oswell. Here’s how it went. B: So Jim, a brilliant three points from a game against opposition in the top four. Jason Oswell’s hat-trick takes him up to twenty goals this season already, are you planning to build the squad around him for the upcoming cup match at Lancaster? J: Not particularly, no. Of course Jason is a big part of the team, but there’s more to winning than goal scoring; we have to be strong and resilient in defence and well built, but Jason’s a key part of that, certainly one of the key measurements for players is goals and assists, and Jason’s stats are certainly good. B: You’ve previously said that football should be played with a passing style of play. Do you think that playing attractive football gets rewarded in the long run? J: I think so. I played with Danny Bergara’s (Legendary Stockport County manager) team and his was a bit more of a direct approach, and as the seasons went on the players got a little bit fatigued from than, and when you play at Wembley it doesn’t work, you know? It’s difficult because I’ve always been a big believer in passing football, and I’m also a big believer in effective football and we’ve got to know when we can play through teams, we’ve got to learn how to play behind teams, and we’ve got to learn how to play down the side of teams, and we need to know when to play and when not to play, and that’s when you get a really effective side. B: This is your third stint in charge here at Stockport, are you expecting to stay here for the rest of your career, or do you want to move up in the league system? J: If I move up in the league system it’ll be with Stockport. No, It was a gamble coming to the club for a second time, because I knew that where the club was headed financially was going to portray badly on everyone at the club, but I wanted what was best for the Football club, and this time I want to build a football club and do my best for it. You know, I want to take this club as far as possible.I know there’s a lot of managers at other clubs, and I’m not being disrespectful, but they try to make the team successful just as a platform for their own careers, but I’ve enjoyed playing in the Champions League, managing in the Europa league, and this is my hometown, my family are Stockport fans, and I want nothing but the best for them. Last time I left Stockport I didn’t expect to be in management again until someone gave me a call and asked me to take a few games while the manager was suspended, and I went in on a week-to-week basis and the manager was there two years, so as long as I’m wanted here, and people still believe in me, I’ll be here. Gannon showed great class and expertise to see through the result in the game, and he continued in this trend throughout the interview. I’d like to say a massive thanks to everyone at Stockport County for making this possible, especially to Jim Gannon and Jon Keighren. Also, photo credits to Nick Midgley. I hope you enjoyed this post, if so then please leave a like. Leave any comments, queries and questions in the comment section below. If you want to see more from The Dugout and be told first when I post new content then you can follow the site, just use the little widget on the home page. There will be a new post out soon, so stay tuned. The FA cup is the world’s oldest club football competition still being played, and is also one of the most famous tournaments in sport as a whole, with every single side in the country’s top ten leagues battling it out for a chance at lifting the trophy at Wembley. This creates some fantastic big-team-takes-on-small-team games, and, as a result, some fantastic upsets. This year’s biggest ‘giant killing’ so far has surely been Boreham Wood (of the conference)’s last minute defeat of Blackpool in the first round proper, but AFC Fylde’s cup run, including taking Wigan Athletic to a replay in the second round, cannot go unnoticed. The Emirates Football Association Challenge Cup, to give it its full name, has become world renowned for its ‘magic’, tiny minnows, like Lincoln, toppling Premier League giants, like Burnley, and that’s exactly what happened in the last-16 game between then-conference side Lincoln and Premier League side Burnley, with the Red Imps’ Sean Raggett encrypting his name into the history books with a last minute winner at Turfmoor. However, especially for the bigger teams, the Cup has been more of an annoyance than an opportunity. Many managers have complained about fixture congestion over the Christmas period in recent years, with FA Cup replays becoming a big part of the problem. Steve McLaren, the Derby Manager, said earlier this year that he thinks the FA should “look at the competition and say ‘lets only have one tie’ because nobody wants this”. The concept of all cup ties going straight to extra time and penalties after a draw would certainly make ties between the lower league clubs and higher league clubs more enjoyable, with sides being forced to go for a game on the night, rather than sitting back and playing for a replay and the tv money. Of course, in McLaren and Co.’s eyes at least, this has to be an improvement from what has happened before. Before 1990, every tie in the competition before the fifth would go to a replay if drawn, and if the replay was drawn, another replay was played, and so on and so forth. During the 1975 tournament, Fulham played a total of twelve games over six rounds before reaching the final. Problems like this have meant that Premier League sides, especially, have begun to devalue the cup competitions, using it as more of an opportunity to field younger players and experiment with the squad, taking the league as the priority. And I can understand why. Fixture congestion over Christmas really is awful, and I’m sure neither side ever wants to play a replay if they’ve drawn a game, rather than settling it there and then. But, a big argument for the existence of replays is penalty shootouts. It’s argued that it is more a matter of luck and mental state, rather than genuinely beating your opponent for skill. A replay involves the all-round quality and skill that a penalty shootout lacks. The FA cup has, in recent years, been host to some fantastic upsets, as expected. Lincoln and Sutton United’s fantastic cup runs last year cannot go unnoticed, nor can FA Cup upset kings Blyth Spartans’ challenges. So is the FA Cup the same magic-filled tournament that it was thirty years ago? Leave your opinion in the comments below. If you enjoyed this post then please leave a like, leave any comments, queries or questions in the comments below. If you want to see more from the Dugout and be told first when I post new content then you can follow the site, just enter your Email into the widget on the homepage, it’s completely free. There will be a new post out soon, so stay tuned. How Important Is Paul Pogba To Man United? Over-priced, overrated, a waste of money: three things that Paul Pogba was branded as when he signed for Man United back in August last year. But, as the Frenchman makes an impact on his return from injury, we’re asking whether he was any of those things. Of course, last year £89m was a hell of a lot of money, even for a footballer of his age and level, breaking the world record for a transfer fee at the time. Yet, with Moussa Dembele’s £130m move to Barcelona and Neymar’s £200m move to PSG meaning the record-fee has more than doubled since, Pogba’s fee now seems a far more reasonable price (not that you could ever truly justify paying someone £89,000,000 to play for your football club). Pogba was certainly slow to settle in at Old Trafford, receiving more than his fair share of criticism over his first few months. He was told to “stop dancing and focus on his football”, along with many other things that I cannot put to a public audience. To be fair, it was clear that the huge price tag was playing on his mind for a while. He often tried unnecessary long passes, to no avail, and always seemed to either take too many risks or too few. Part of the reason Pogba was criticised, I think, is because of his lack of goals and assists early on. Pogba’s reputation as a goal-scoring midfielder in Italy had come across to England, and when he failed to notch a single goal or assist in the first few games it sent doubts into United fan’s minds; “Not another Di Maria!”. If Pogba came in as a reputation of being a replacement for Roy Keane, for example, a box-to-box midfielder there to break up attacks and move the team forward he wouldn’t have got so much of a bad press. Pogba is more of a cross between Paul Scholes, Roy Keane and N’golo Kante, not sticking especially to one certain midfield position, but being an indispensable asset in the middle of the park. Pogba did settle in last season, proving to be a hugely important cog in the midfield, forming a vital partnership with Zlatan Ibrahimovic. He began this season very strongly indeed, scoring a few goals, tacking on big assists and adding some power in the side to help break down other midfields. However, the Frenchman’s hamstring injury early on in the Champions League game against Basel ruled him out for a few months. During this time United’s blistering form slumped, losing 2-1 to Huddersfield, 1-0 to Chelsea and falling 8 points behind their cross-town rivals, City, at the top of the table. Pogba made his return this weekend, in a 4-1 win against Newcastle, bagging a brilliant assist for Anthony Martial, to level the game, tapping home a Marcus Rashford header to make it 3-1, and muscling the Newcastle side into submission. United, during Pogba’s absence, lacked the muscle, flair and creativity that they had earlier on in the season. With him in midfield, you expected United to score and create, to the point where you would have to sculpt your game plan around the almost guarantee that you would concede at least once, yet, without him, the Red Devils were slower, more static and less creative, and relied almost entirely upon Marcus Rashford and Anthony Martial to make the goals. Also, was it a coincidence that when Pogba left, so did Lukaku’s goal scoring form, and when he returned, so did Lukaku’s goals? I think not. We know that the two players have a strong connection on and off the field, and Lukaku looked isolated up front over the last month or so. The biggest impact he had on the side was his headed assist for Anthony Martial to win the game against Tottenham, but now that Pogba was back, big Rom got a goal and set up one, thumping home in a one-on-one and crossing to Marcus Rashford to cushion for Paul Pogba. So, how will Pogba’s return to United affect their title chances this season? Leave your opinion in the comments below. Also, if you guys have any requests or recommendations for topics you think I should write about then please leave them in the comments, I love to hear any opinions, comments and requests. If you enjoyed this post then please leave a like. Leave any comments, queries or questions in the comments section below. If you want to see more from the dugout and be told first when I post new content then you can follow the site, just enter your email into the link on the homepage to join the updates list. There will be a new post out soon, so stay tuned. England Are Boring – But Could They Challenge At the World Cup? Brazil and Germany; the two most successful national sides in footballing history. A total of nine world cups between them, and home to players such as Neymar, Reus, Neuer, Coutinho, Marcelo, Hummels and many more of the world’s best. But what do they have in common? They both played England recently. England’s complete failure at their last five or six major tournaments has almost certainly removed (even further than before) the majority of expectancies they will get for the World Cup next year in Russia. What’s even more discouraging is their style of play. Often boring, slow and frustrating, and the fact that we know how good the squad disappoints even more. We know that we have quick and talented wingers, prolific forwards (well, one at least) and clever midfielders. It’s not England’s golden generation just yet, but it’s certainly a very talented squad. England’s slow and frustrating approach is due to a lot of things. The lack of a creative attacking midfielder in the starting line up made the link between midfield and attack collapse, but this was largely due to the absence of Dele Alli. There was no prolific striker to finish opportunities, but this was mostly due to the absence of Harry Kane. The game against Brazil was congested in midfield and England’s defence often looked strained, which isn’t surprising seeing as they were defending against Neymar, Gabriel Jesus and Coutinho. Gabriel Jesus came close to breaking the deadlock after latching on to a genius pass from Neymar, but was substituted off after an injury late on. Ruben Loftus-Cheek failed to fully replicate his quality performance in the Germany game, being overloaded with the hard-pressing, clever and tricky Brazillian style of play, showing an unfortunate lack of experience against high-class sides. Defender Joe Gomez won Man-Of-The-Match, showing a composed performance and experience beyond his age, muffling the danger of the Brazillian front three. Recently, both the U17s national side and the U20s national sides have won their world cup competitions, showcasing some fantastic young players. Rhian Brewster, Liverpool’s young forward, scored a hat-trick in the U17s semi-final, and Manchester City’s Phil Foden scored a brace in the final as England came back from 2-0 down to beat Spain 5-2. But what about the senior World Cup? The tournament in Russia next year will be crucial, as ever, for England, whose fans will be hoping for them to at least reach the quarter-final, and will certainly demand more than the group stages that the Three Lions failed to escape in 2014. The draw for the group stage will take place on December 1st, with England in the second group of seeds, meaning that there will be at least one tough side in their group. According to the BBC, the bookies make England the seventh favourite to win it, behind Belgium, Brazil, Spain, Argentina, France and Germany, the favourites. If England are to challenge at the World Cup they will need to improve in a few crucial areas. They still need a goalkeeper who can be relied upon when needed, as I think Joe Hart is too inconsistent. Chris Smalling and John Stones will need to be on top form to keep the defence locked up, and they will need to have both Dele Alli and Harry Kane linking up and scoring goals. Just to finish off, I’d like to welcome our new Europa league and Championship correspondent, Joey, to the Dugout team. If you enjoyed this post then please leave a like. Leave any comments queries and questions in the comment section below. If you want to see more from the Dugout and be told first when I post new content then you can follow the site, just enter your Email into the widget on the home page and you’re done! There will be a new post out soon, so stay tuned. So on Saturday I got the fantastic chance to conduct an interview with the newly-appointed caretaker manager of FC United Of Manchester, Tom Greaves. Greavesy, as he is affectionately known by his fans, is currently working as a player-manager, continuing his career as a successful forward. He has scored just under 100 goals in 240 appearances for FC United, and is one of the most popular figures at the club. FC United had just beaten fellow relegation strugglers Nuneaton town 2-1 in what can only be described as a six-pointer. The man himself looking for space. Q: So you got a crucial 3 points today in what was, possibly, one of the best performances that FC United has produced. How do you think it’s going so far? A: I’m enjoying it, yeah. We had two great coaching sessions on Tuesday and Thursday. The lads Jack and Tom had two really great coaching sessions, we worked on things that I thought we needed to work on. We went into the game today, I told the lads to “give me 110% and wear their hearts on their sleeves and realise why they’re at this football club”, and I think they’ve done that. Q: There seemed to be a bit of a scramble for the second goal, which eventually won it. Do you know who put it in? A: Haha, Danny Brady will try and claim it, but I think it’s gone in off their player. Q: It was very tightly contested towards the end, very nervy. Is that something you’ll want to address, or is it just part of the game? A: It’s all just part and parcel of the game I think.I never think FC United do it the easy way. We felt comfortable at 2-0, but they nicked one back. Their lad’s done well, been sharp to pick up the loose ball, he got there first. But yeah, it brought a few nerves in for the last ten, fifteen minutes, but yeah, part and parcel of the game. Q: The loose ball was the result of a slip in the goalkeeper’s hands, do you think that someone was at fault there? A: Not at all, no. The ‘keeper’s been outstanding today they could have had three or four but Lloydy’s pulled out some great saves, so no, I don’t think he’s at fault. Q: Just one last question. We know a few other higher-end teams have a three, five or ten year plan. Do you think you have one implemented at FC United? A: It’s a bit early for that at the minute, we’re just taking it one training session at a time, but I’m sure when we sit down and talk about it we’ll get something in place. A bit similar to other clubs I think. We have some fantastic youth talent coming through, so we’d love to make the most of them. So yeah, pushing players through and giving youth a chance is important. Q: So would you consider going for the job full time? A: We’ll see. Like I said we’re just going one game at a time at the moment, but I’ve enjoyed it so far, and if I carry on enjoying it then we’ll see. I’d just like to say an absolutely massive thank you to all the guys at FC United who made this possible, with special mentions to George Baker and Tom Greaves. Also photo credits to Nick Midgley. If you enjoyed this post then please leave a like, leave any comments queries and questions in the comment section below. If you want to see more from the Dugout and be told first when I post new content then you can follow the site, just enter your Email onto the widget on the homepage. There will be a new post out soon, so stay tuned. Football is the world’s most widely played and enjoyed sport, and also one of the oldest, but where did the beautiful game begin? Many people claim that football originated in Ancient China, where the traditional Chinese and Korean game of Cuju, or Tsu Chu, where participants would aim to keep a ball in the air for as long as possible without using their hands. It started off in the 3rd century BC as a military training exercise, which was spread throughout southeast Asia. Cuju is officially recognised by FIFA as the earliest ever record of a game that evolved into football. There were also records of a game played by Roman soldiers where they would attempt to kick or throw an object between two markers, with a designated player standing between them, however, this is far less well documented that Cuju. There is very little evidence of football-like games for a very long time after the Romans, however, during the dark ages, a game called ‘mob-football’ became popular across Britain and France. Mob football consisted of two teams battling against each other to get an inflated pig’s bladder to a certain point. The teams in mob football often had over a hundred members, as most men in the village would join in, and the ‘pitch’, if you can call it that, would be more like a cross-country course, spanning between the two villages facing off against each other and often requiring literal miles of running to even reach the goal. The rules were pretty much ‘if it doesn’t kill them, it’s allowed’. The game clearly caused masses of damage to both the landscape and the participants, to the point where that in 1314 King Edward II tried to ban the game. He proclaimed “There is a great noise in the city caused by hustling over large balls, from which many evils may arise which God forbid. We command and forbid, on behalf of the King, on pain of imprisonment, such a game to be played in the City”. Basically, “It’s really loud and people are getting hurt, so I’m banning it”. Up to 60 attempts were made to ban football within England before the 1600s, when it was finally made legal. The game was clearly still frowned upon by the upper classes, however, with Shakespeare himself using “football player” as an insult in his play ‘King Lear’ and also within ‘A Comedy Of Errors’. However, in King James I’s ‘Book Of Sports’ in 1618 he encourages Christians to play the game on Saturday afternoons, as a way to rebel against the strictness of the Puritans. The rules of the game were finally cemented back in 1856, where it was declared that football was a game where players must put a ball between two sticks without using their hands, and the game we know and love was born. There were, however, very few regulations on the height of the goal, and more often than not a string was hung at the height of the goalkeeper’s highest reach-point and this was declared the highest the ball may go in the goal. Similar rules were used at Rugby School, where Rugby was created, which is one of the reasons why Rugby posts have no limited height. The FA was founded in 1863, and one of its first actions was to specify the requirements for the size and shape of the goal, including the introduction of a solid crossbar.The founding of the FA leads to the modern and well-known game that we have today. Overall, football has a long and complex history, but without it, we wouldn’t have the game we have today. From its roots in Southeast Asia to Tudor mob football, every part of its history has shaped the modern game. Just one last thing, we have some really amazing things happening in the next week, so keep an eye out for that. If you enjoyed this post then please do leave a like. Leave any comments, queries and questions in the comment section below. If you want to see more from The Dugout and be told when I post new content then you can subscribe to the site, just enter your Email address into the widget on the homepage. It’s totally free! Like I said, we have some amazing things happening this week, so stay tuned!